The Swiss are known for doing many things well: chocolate, cheese, public transportation, knives, etc. But there is one Swiss industry that almost disappeared, but I had a hand in helping resurrect it...or should I say wrist? Let me explain. 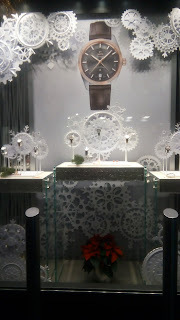 The Swiss have been known for their precision watchmaking ability for centuries. 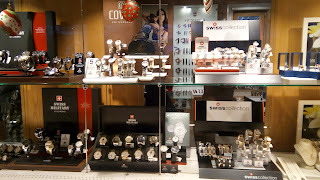 High end brands like Rolex, Tag Heuer, Rado, Omega, etc. are all from Switzerland. 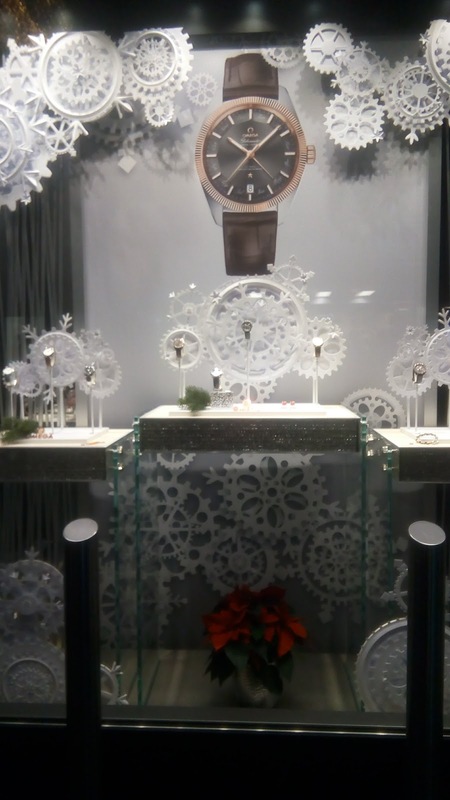 Omega store display in Luzern. 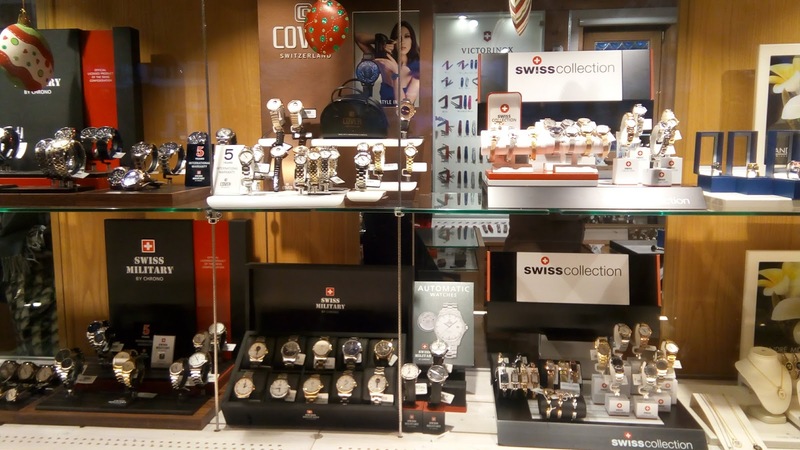 But during the Swiss economic crisis in the mid-1970's when the Asian-made Quartz watches began gaining popularity on the world market, the Swiss watch industry almost died. Then along came Nicolas Hayek, a Lebanese immigrant. 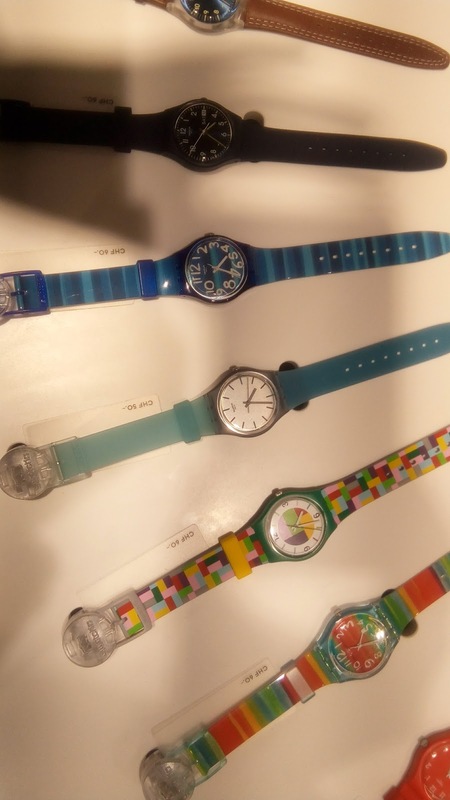 In 1980 Mr. Hayek designed a light-weight, cheap, and colorful watch. He brought the Swatch (shortened form of Swiss watch) to market in 1983 - transforming the Swiss watch industry. ...but I want them all! Me, circa 1984...I'm pretty sure my cute white Swatch watch was on my wrist in this picture. An Austrian family is standing on the Austrian riverbank of the Rhine and want to become Swiss citizens. The border police tell them that all they have to do is swim over to the Swiss side and they'll get the red passport. The father jumps into the river, swims across while battling the current, climbs out on the other side and proudly receives his Swiss passport. The mother jumps in next, swallows lots of water, almost goes under but manages to get across. The border police hand her the red booklet. She shouts to her son to jump into the water and swim as hard as he can. He does but to no avail; he doesn't make it, and drowns. The father looks at his tearful wife, shrugs, and says, "Never mind, it was just a bloody foreigner!" I have not seen or experienced anything that would support this joke's portrayal of an anti-foreigner sentiment, but I do know it is 'timely' given the immigration issues around the world. I just found my daughter's Swatch, and they will be getting it fixed up with a battery for her daughter. 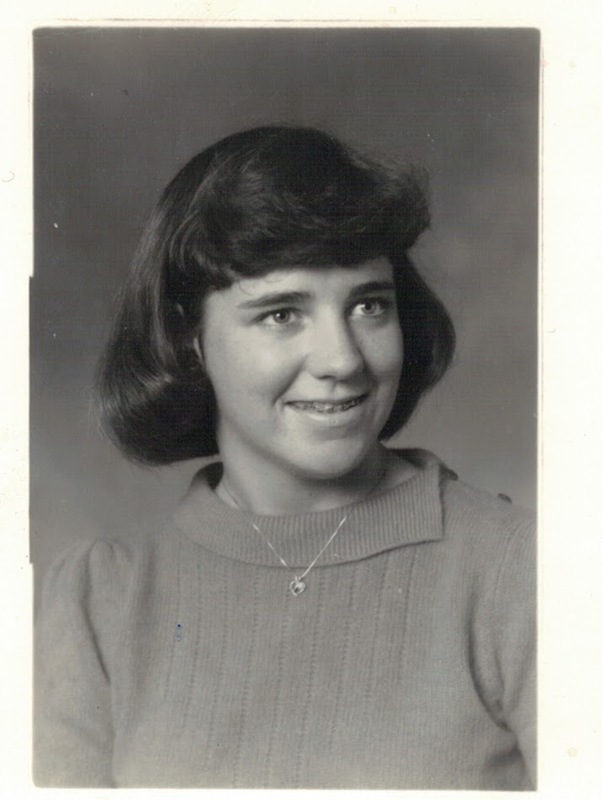 It was the craze for sure. What irony that the immigrant saved the day, and the Swiss! 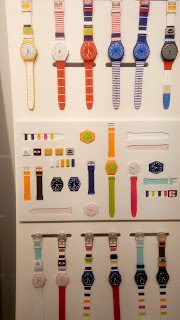 You are cool without the Swatch, Bridget, but with it, Wow! At least that's what everyone believed! 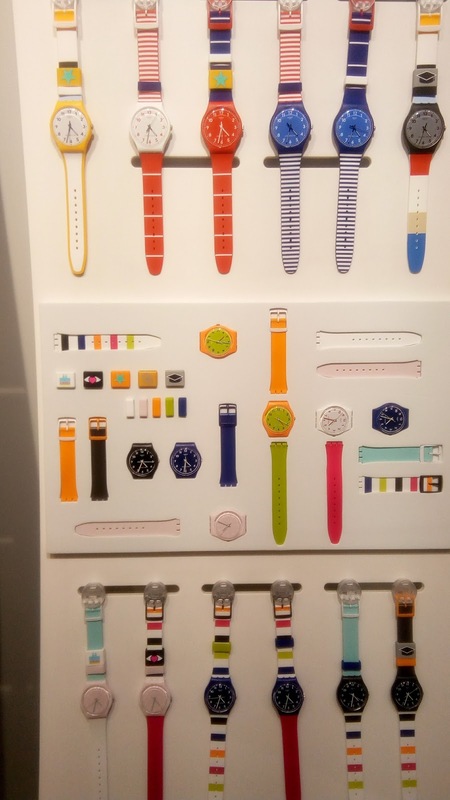 There is a Swatch store at a nearby mall, FYI!